This is such a beautiful dress. I bought it from the Oscar de la Renta Mount Street flagship store in Mayfair, London. 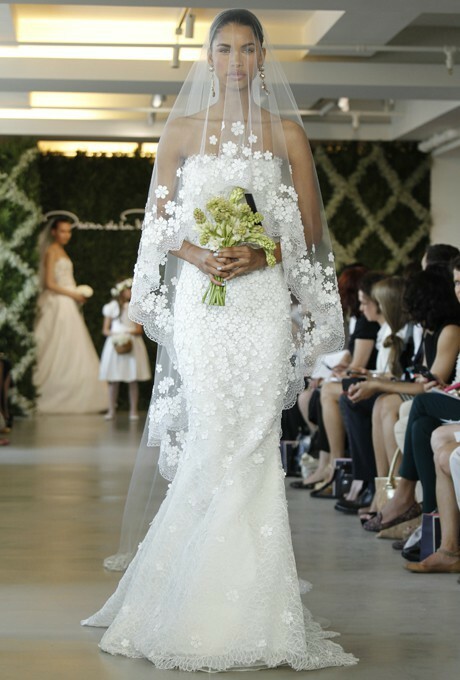 The dress is covered with hand-crafted lace flowers, each accented with tiny pearl beads. In fact, the Oscar de la Renta team added more lace flowers to the dress, sewing them on individually to give it extra oomph! The dress is in perfect condition and has been dry cleaned at a specialist dry-cleaner recommended by Oscar de la Renta. The veil is included and looks stunning with the dress. Both the dress and veil are available in an Oscar de la Renta garment bag. Once you send a message, CB can invite you to purchase the dress.